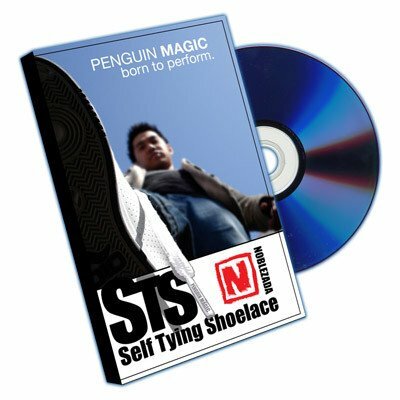 From the Penguin Magic Creative Studio and Jay Noblezada comes a street magic effect that breaks the ice! Walk down a busy street with your shoe untied. Complete strangers will INTERRUPT you to tell you your shoe is untied EVERY FEW SECONDS. You didn't ask for the attention. It just happened... But being born to perform is being ready when the spotlight finds you. The best part is, it's a REAL knot and bow! Your spectators can inspect till their hearts are content!